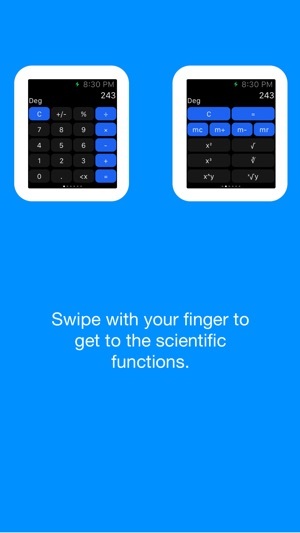 Swipe with your finger to get to the scientific functions. 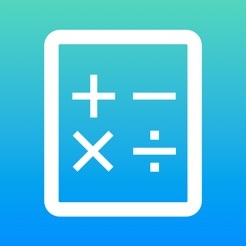 Force Touch on the calculator to show the menu. 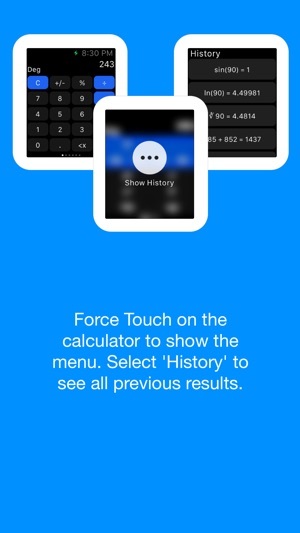 Select ‘History’ to see all previous results. 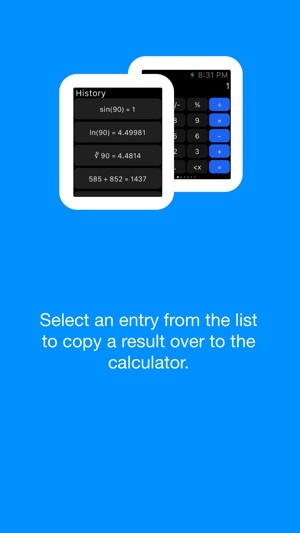 Select an entry from the list to copy a result over to the calculator. 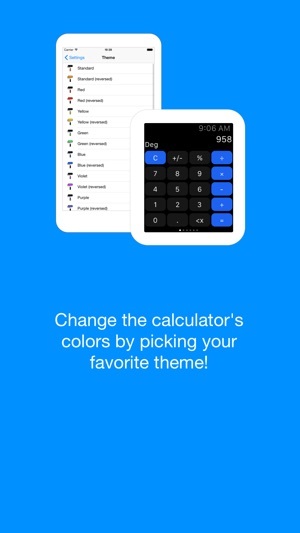 Change the calculator’s colors by picking your favorite theme! 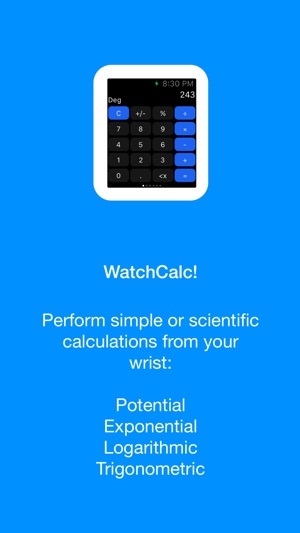 Please note: WatchCalc is a simple, single-step execution calculator for your AppleWatch. You will have to keep this in mind to preserve the order of operations.